Our Advanced App Development Solutions Using Disruptive Technologies Will Help Manufacturing Industry To Empower Their Business Process And Adopt To Future Digital Needs. Manufacturing industry is one of the largest sector in global economy. It is the process of transforming materials or components into finished products that can be sold in the marketplaces. As the technology is getting over change, many manufacturing business are now finding the advanced software to run their business. Manufacturing software development includes custom solutions, and it gives you complete control over how your business runs. At Osiz technologies, we provide a wide range of options regarding your business models. We are the team of knowledgeable professional with dimensional experience within the manufacturing software development and our aim is to scale-up within the method of offering glorious business solutions to our clients. One of the biggest challenges in manufacturing industry is “Product information management”. We offer best manufacturing software development which allows you to handle immense catalogue of products. Implementing manufacturing software development to manufacturing industry it increase productivity growth, centralise data, reduces manual work task and enhance organization throughout the company. 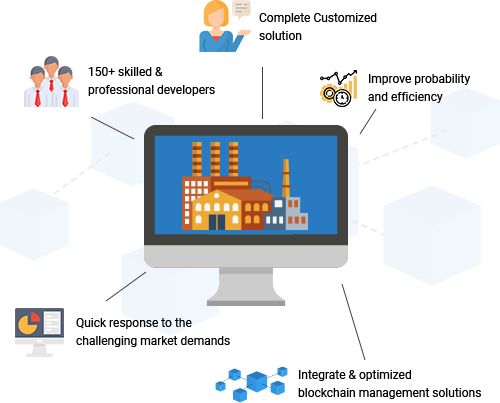 By integrating our blockchain it help to improve your supplier order accuracy, product quality, track-and-traceability and manufactures will able to meet delivery dates, improvement of product quality and sell more. 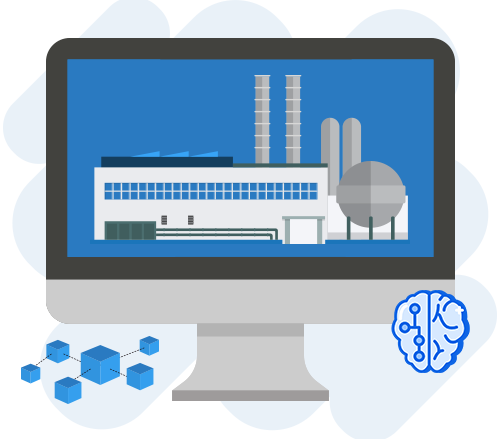 Using our advanced AI solution in your manufacturing industry, you can check the quality of product, maintenance level, optimize manufacturing supply chains, minimize operational costs, facilitate superior scalability and product development. We will understand your business model completely and analyse the business process that needs IoT solutions. We provide complete IoT solution according to your business requirements to enhance your revenue growth. 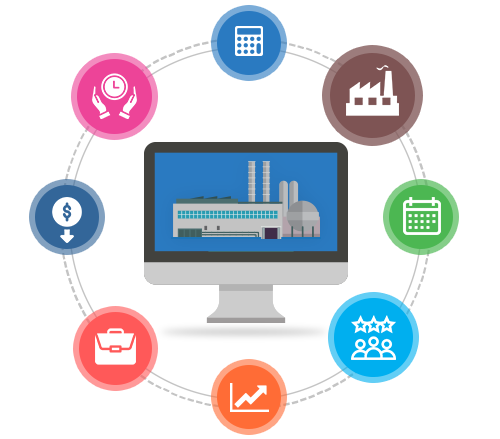 We provide end-to-end web/mob appication development for manufacturing industry with advanced features, to stand out different from your business competitors. Our application supports and responsive to all kinds of platform. Why Choose Osiz as your Software Solution Provider ? Build secure, cost-effective and high-end solutions using advanced technologies like AI, IoT, Blockchain and more for manufacturing industry. Hire our dedicated developers to strengthen your business operations and convert your business deals to a great extent.